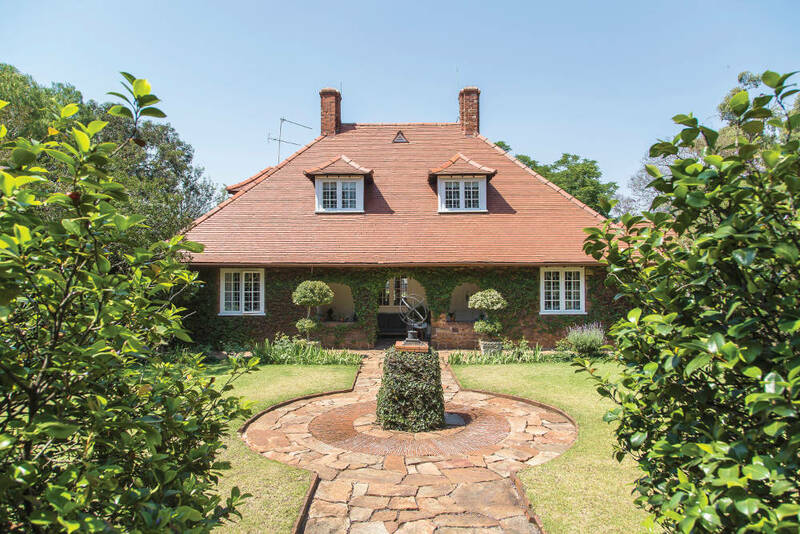 Parktown, the first suburb north of Joburg’s inner city, was established in 1890 by the Randlords, European adventurers and financiers who controlled the diamond and gold mining industries at the time. The suburb still contains many of the original mansions, now overlooking the M1 highway, although most have been converted into offices or student residences. 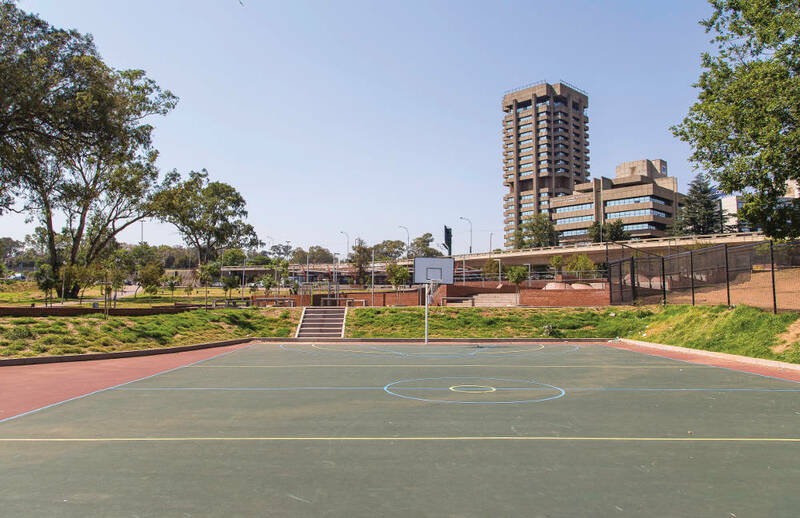 Parktown is still a beautiful residential area, with wide streets, leafy trees and historical buildings, but because of its position bordering more affordable suburbs such as Berea, Hillbrow and Braamfontein, it’s slightly less exclusive and more accessible to buyers than the other Parks’ suburbs. Standard Bank director Jeanne Stegmann and her property developer husband Bernard, live in one of Parktown’s gorgeous old apartment blocks. Jeanne is no stranger to Parktown, having grown up at number 13 Rockridge Avenue, which was an old Herbert Baker house. She loved the style of architecture and the heritage of the area. “When we moved away when I was 13, I always thought I would come back because I love the area so much,” she says. It was clearly meant to be, however, because when Jeanne met Bernard, an apartment did come up for sale for the first time in 13 years. In 2003, they bought it, and have lived in the building ever since. But that’s not the end of their Lyndon Hall property-ownership story. Every time a new apartment came up for sale, Jeanne and Bernard bought it, with the result that they now own four units, in various stages of renovation, which they plan to let out to tenants once they are complete. Lyndon Hall was built in 1940 by the Millers – the family that owned OK Bazaars – who, Jeanne says, wanted to build apartment blocks similar to those found in New York. They had only family members living in one wing and the smaller apartments in the other wing were dedicated to their high-end staff like the family doctor. She thinks the Miller children lived in the upstairs apartments. Parktown is school central in this part of Joburg. “It’s surrounded by great schools,” says Jeanne. Within Parktown itself is the well-regarded government high school of Parktown Boys (Parktown Girls is actually located down the road in Parkview). Also in the area are Parktown Primary and Grantley College, a government school for students with learning disabilities. Private girls schools Roedean, McAuley House and St Katharine’s are located within Parktown, and St John’s and Auckland Park Preparatory School for Girls are located close by in bordering suburbs. Residents have their pick of excellent schools in the area. Also expanding children’s cultural horizons is the National Children’s Theatre on Junction Avenue. It’s located in two heritage buildings – Ridgeholm, built in 1902, and Wynnstay, from 1913. “We work closely with the community and invite schools from our area to come and see theatre free of charge and attend our workshops,” says Sidwell Koopedi, the media liaison officer at the theatre. He says children also come on tours to see the heritage buildings and to learn about their new expression as homes to theatre. “We show them backstage and let them learn about the theatre,” Sidwell says. He adds that Goggas, a delightful South African family musical, is showing until 23 December, for interested young theatregoers and their parents. Parktown is also home to three of the five campuses of Wits University – the Education Campus, the Wits Medical School and the Wits Business School. Jeanne says that she and her family don’t go out all that much. The lifestyle that they’ve chosen – living in beautiful surroundings – is what satisfies them. However, when they do venture out, they go into Maboneng for a meal at Che Argentine Grill, or often to Hyde Park to visit the Exclusive Books. They will also venture out to Athol or Rosebank, and they often take their daughter to the George Hay Park in Parkview. And they are regulars at the Johannesburg Country Club in Auckland Park. 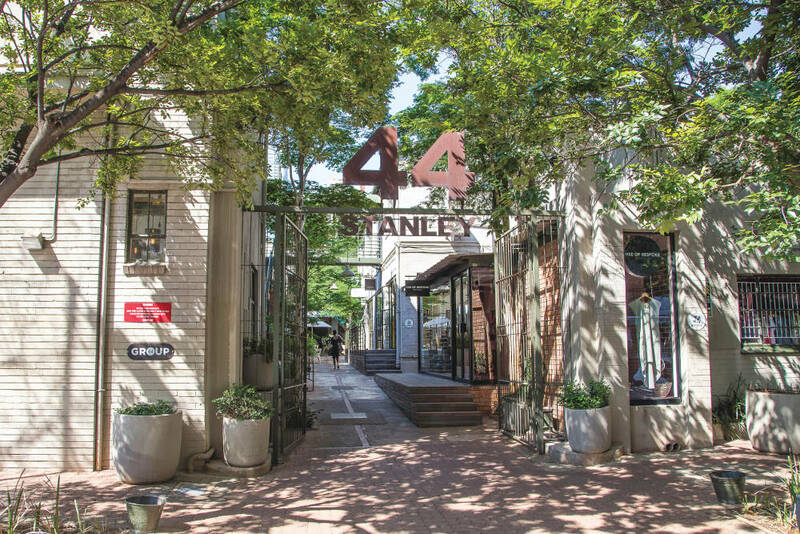 Parktown is a beautiful, historical suburb that has retained much of the charm of a bygone era, even if it’s becoming increasingly corporate. Jeanne and Bernard have carved out a little pocket of Joburg’s heritage for themselves, and are clearly loving their lifestyle. 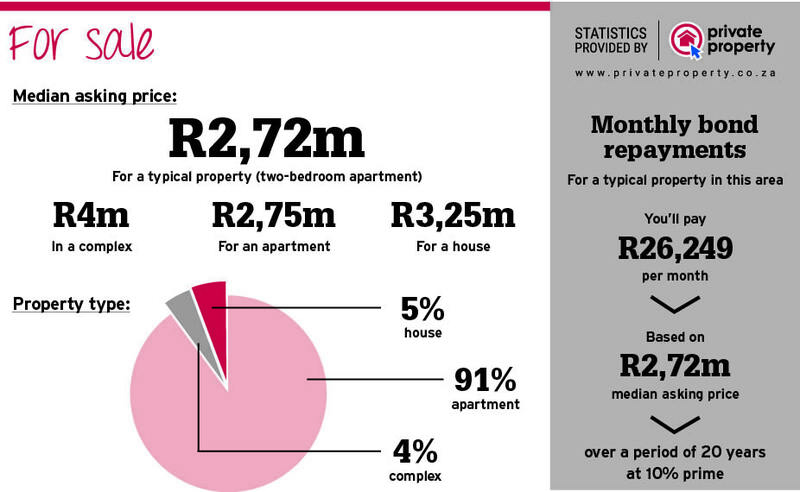 The best thing about living in Parktown is our building and the lifestyle we have living here. I love the aesthetics and the architecture of our apartment. Take the children for a fun and culturally rewarding day out to the National Children’s Theatre. Learn about the history of medicine at the Adler Museum of Medicine at Wits. Visit the interesting heritage sites and learn all about Parktown’s history on a Parktown/Westcliff Heritage Walk. 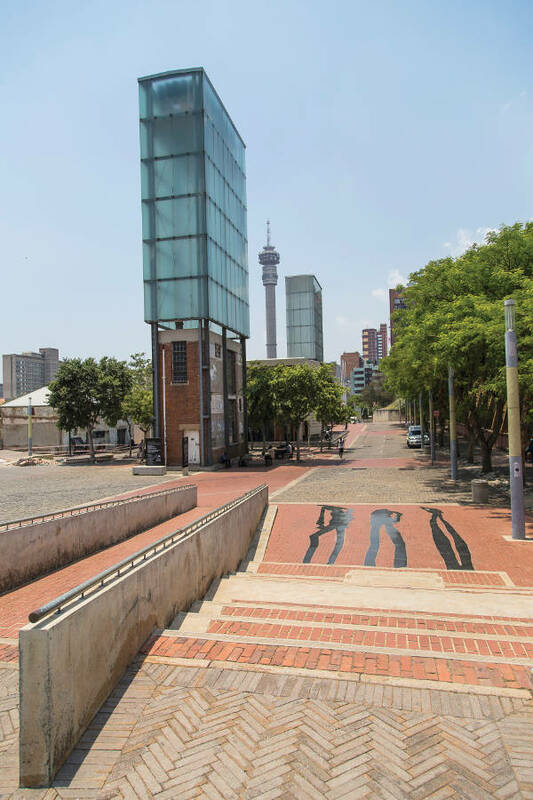 Learn from South Africa’s dark past and promising future at the old prison and new constitutional courts at Constitution Hill. Arrange a visit to the gorgeous and abundant Brenthurst Gardens, still the responsibility of the Oppenheimer family, and listed among the great gardens of the world. Soar among the stars at the Wits Planetarium – a great educational experience for kids. But mind you don’t leave with a case of “planetarium neck” from your time stargazing!